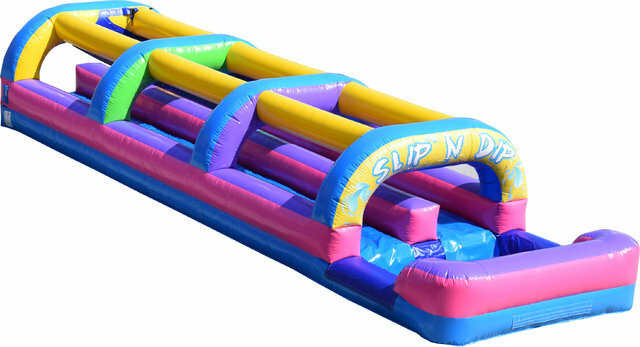 This is like our slip n slide, but two times better! Two lanes offer twice the through traffic, plus a competitive element as you can find out who can slip the fastest! Participants then land in the splash pool at the end for a refreshing cool down on those hot summer days.